Introducing balance into interiors is key to creating a cohesive scheme. In most cases, too many white and light tones can make a room look stark and uninteresting, and too many dark tones can make spaces feel small and unwelcoming. The key here is striking a balance between light and dark, creating a contrast to add interest and ground key pieces. To much black in any room can be a little overwhelming. In the kitchen consider introducing a few key pieces in black to tie the look together. We love the Black Hammer Stool in a high gloss finish. 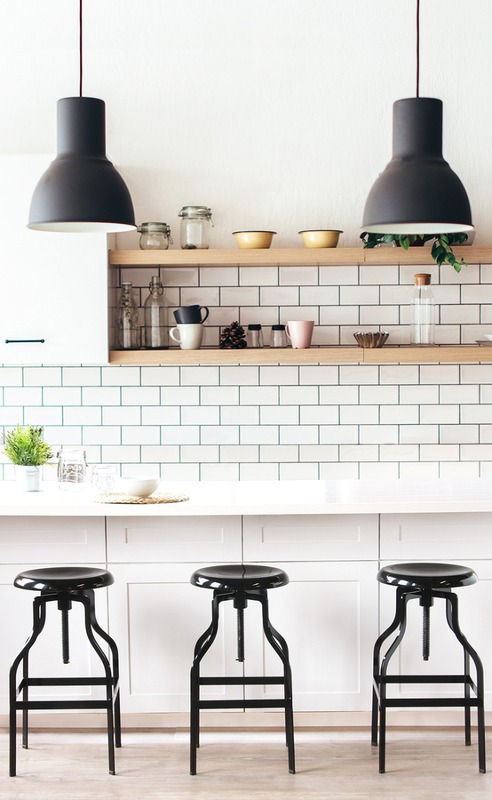 Simple in design, the striking black shade makes these stools really stand out, particularly when set against a breakfast bar or island in white or pale wood. Finish the look off with industrial lighting in black above your island. Keep the look simple by choosing lighting in the same finish as your bar stools – if your stools are gloss opt for lighting with a high shine, or for stools with a matte finish, choose raw unfinished lighting. Tie the whole look together by introducing a few more black details, such as black picture frames, or a black kitchen tap. Create a cosy nook in your bedroom and define an unused corner with a butterfly chair in black. Add a pop of colour with a cushion in dusky pink or mustard, and a ladder bookcase in white to style as a reading corner. Style your shelves with books with black and white spines, introducing an accent colour that matches your cushion. Create a cohesive look throughout the room by choosing accessories, furniture and finishes in black, white and your accent colour. In the bedroom you can afford to introduce more dark shades to create a cosy and calming feel than in the kitchen. If you mostly use your dining room in the evenings and often host dinner parties, consider creating a sophisticated and sultry style. Create a statement wall with the Barnaby Yates Pineapple Wallpaper in Charcoal. Create a contrast by painting the surrounding walls in white to make the paper the focal point. 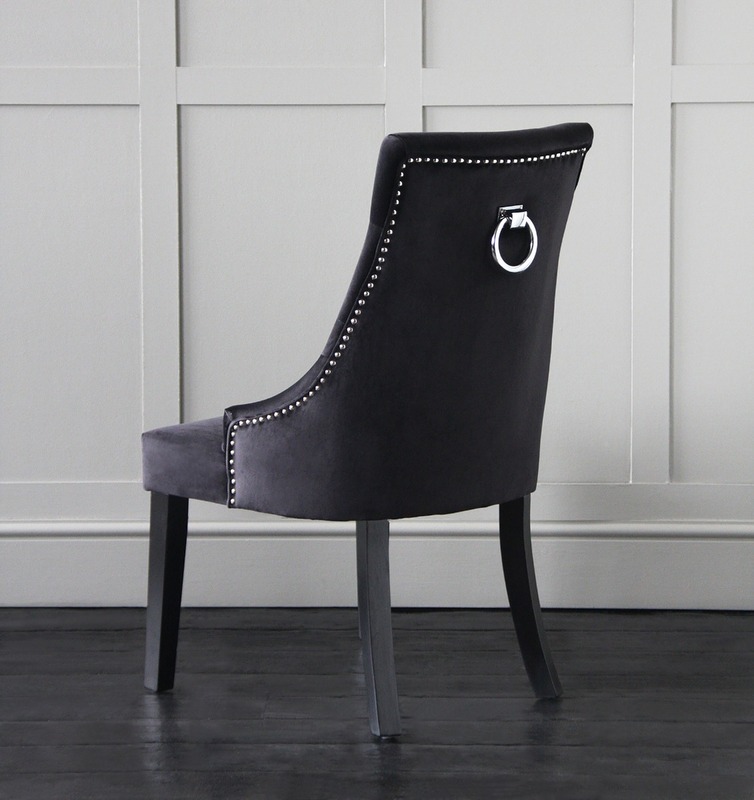 Tie the look together with the Oscar Velvet Dining Chair in Black. Introduce striking pendant lighting in gold above the dining table and tie together with gold cutlery and accessories. 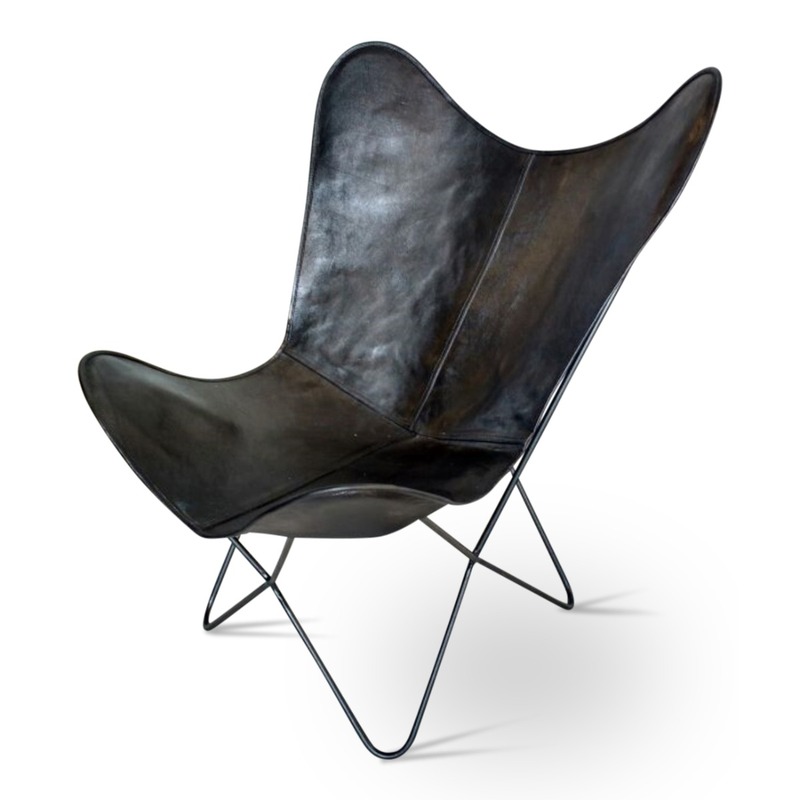 When it comes to interiors, many people shy away from black as it can seem bold. The truth is that introducing contrasting colours can be really effective, adding interest to pull a look together. 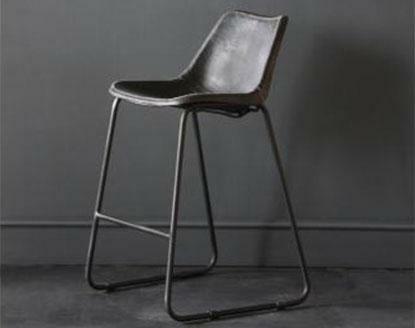 Shop our range of bar stools and dining chairs in black now.